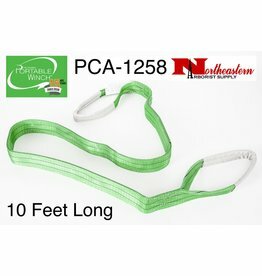 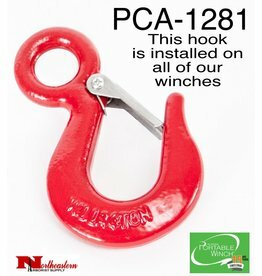 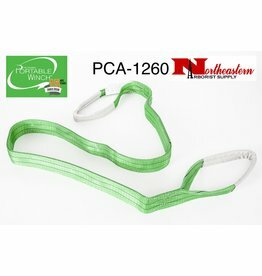 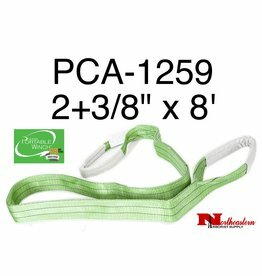 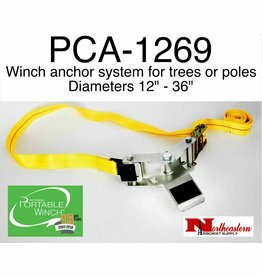 PORTABLE WINCH CO. Winch anchor system for trees and poles with 3 m (10') strap. 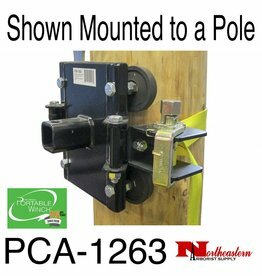 PORTABLE WINCH CO. Winch support with adjustable shelf and swivel pulley for vertical or horizontal pulling. 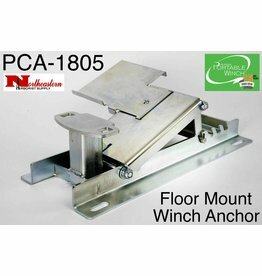 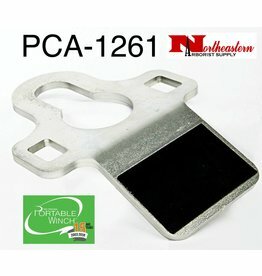 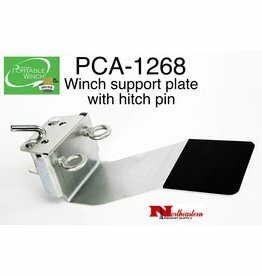 PORTABLE WINCH CO. Hitch Plate winch anchor. 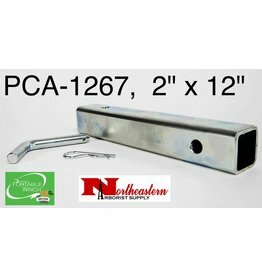 Fits towing balls up to 2"